Westmount Glazing ??? 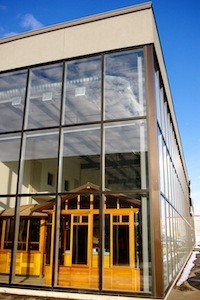 Offering quality glazing and curtain wall services in Edmonton, Alberta and surrounding area. Westmount Glazing is part of MK Group of Companies, offering quality Glazing and Curtain Wall at competitive prices. We are an industry leader offering a diverse range of services to projects in Edmonton and throughout Northern Alberta. Westmount Glazing specializes in larger scale projects. From engineering solutions to installation, our team can deliver the results you want!